Part of Diageo's muched loved Flora and Fauna series. Rumours are that this range is pretty much discontinued which is a real shame. 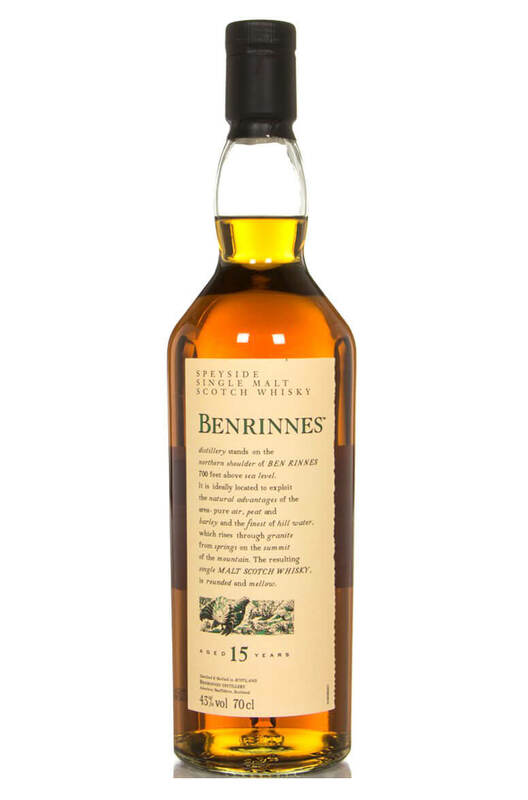 This Benrinnes come from the pre-2006/7 era when the distillery used a form of partial triple-distillation. Newer releases will feature whisky drawn from a modern era of double-distillation. It remains to be seen which we will prefer, but we do love this particular bottling. A light and soft single malt from this seldom seen distillery. Official bottlings are rare and this .. Released as part of Diageo's famous Flora and Fauna series. Glen Spey's label features the Goldcrest..
A mellow, smooth and malty tasting single malt from this hard to find distillery. ..
Now discontinued and getting very hard to find! This is a soft and fruity single malt with beautiful..
A hard to find Flora and Fauna bottling of Glenlossie. Come to think of it all Glenlossie whiskies a..